The name of Yaxha derives from the Mayan for "blue-green water"
One child is allowed in the room sharing with his/her parents. Explore the deep and mysterious jungles of Petén, where several ruins lay hidden within its thick canopies. You will explore two of the great ancient Mayan cities that held a great influence during the Classic Era of Mesoamerica, and constitute one of the most iconic locations in Guatemala. At 4:00 am we will pick you up from your hotel and take you to Airport La Aurora, you will then board a flight to Flores (AIR TICKET INCLUDED), Peten, Once you land,we will make our way to Yaxha. Located forty miles from Flores and within the Maya Biosphere Reserve, the Peten Rainforest is a vast jungle that hides a great many ruins, Yahxá being only one of dozens of ruins. It was once a ceremonial center with a particular affinity towards the study of the heavenly bodies, and a strong ally of Tikal. Yaxhá is an impressive site that deserves a visit. It is located near a lake where we will see Topoxte, which is a smaller site on the lake. After which we will have a traditional Guatemalan lunch. We will then head back to Flores, Peten. 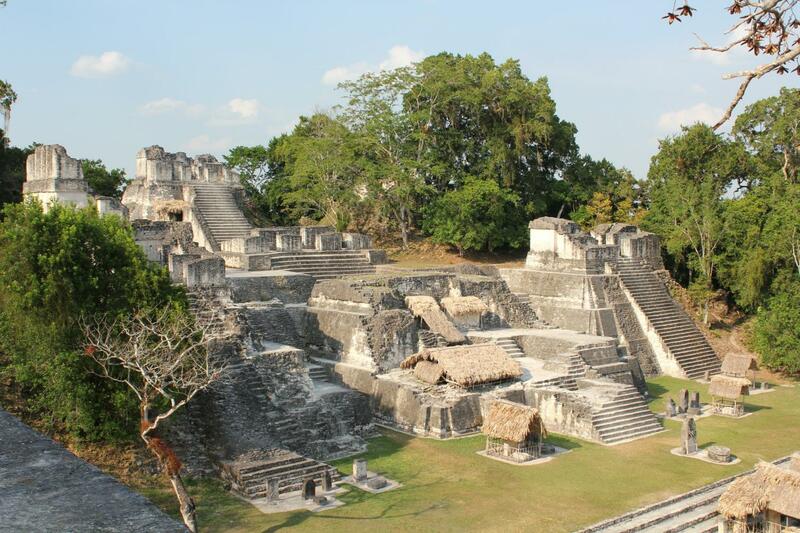 After an early breakfast we will visit Tikal National Park, where Guatemala´s most iconic pyramids lay. Tikal was once a dominant city state within this region, dictating the course of the neighboring city states in the Classic Period. We will get to visit the Q complex, Plaza Central, Acropolis North and Center, Lost world, Temple IV where you can admire the green of the jungle. After which we will have a traditional Guatemalan lunch. At the end of the tour flight back to Guatemala City.